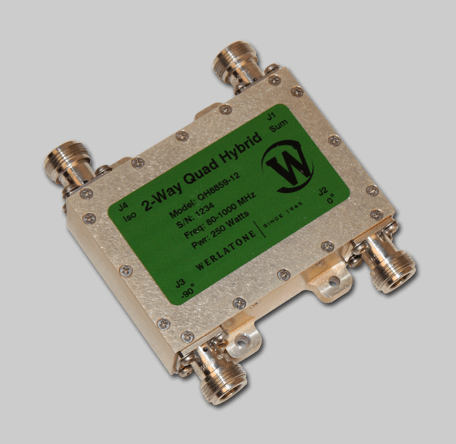 The QH8859 is one of our newest connectorized 4-Port, 90 Hybrid Couplers covering a full 80-1000 MHz band. Rated at 250 W CW, this unit incurs only 0.65 dB insertion loss and provides 16 dB minimum isolation. The QH8859 is designed for military and commercial applications.